Within the section cross country skiing of the Sports Club, you can find various activities : preparation for the competition, the biathlon and adults leisure. The entrance at the section cross country skiing is done from the category BENJAMIN 2. Before this one, it’s the cross country skiing’s home who take kids in charge. 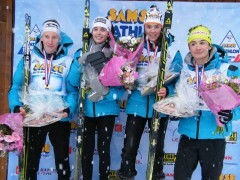 With 4 coaches, the cross country skiing in Chamonix train young people to shine in major national and international races. You have no intention of becoming a champion of tomorrow ? 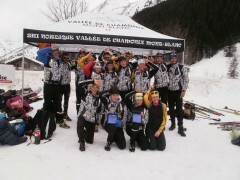 No worries, the club moves across every competitions of the department, in a sportive and also friendly mood. You want to ski in the footsteps of Martin Fourcade, Enora Latuillière, or Clément Dumont ? 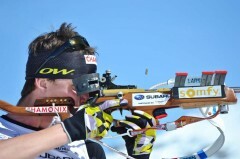 The cross country skiing section proposes biathlon training. From the category Cadet, regular training shooting with a certificated coach. Passionate by the nordic skiing ? thirst of improvement ? The section leisure was made for you. It’s in a good atmosphere that are proposed some sessions framed by monitors that always smile. Some training courses at the four corners of Europe, some long distance races, prestige but festive. Inscriptions September the 9th at "forum des sports"